Refreshening the leading brand of highest quality individually wrapped cleansing wipes serving many industries from airlines, hotels, hospitals and restaurant food service industries large and small. 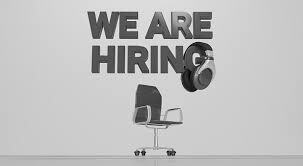 Due to further expansion we are currently hiring experienced office sales personal to further expand our customer base here in the UK and Europe. The ideal candidates must be a self-motivated and an ambitious telesales person being able to work within an office environment leasing with other staff members and new customers at our office near Louth, Lincolnshire. Good communication skills to converse with people at all levels and good computer tech skills would be an advantage and be able and willing to work in other areas/duties within the business as required along with some weekends at various trade shows in the UK if required. Excellent opportunity with negotiable basic wage and excellent commissions paid to the right candidates depending on sales experience.